Google+ Mom to 2 Posh Lil Divas: Fun Ways to Decorate Easter Eggs with Kids! PAAS kits to decorate some of our Easter eggs! I know it's a bit late but I just had to share. 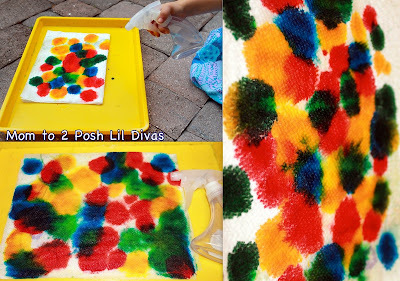 The Lil Divas LOVED decorating this way! If you have not tried this method - do it! use crayons to draw/decorate on them. Tip: Put them on a surface little hands can easily manipulate to minimize them actually having to touch the hot egg. The egg cartons worked well for us. 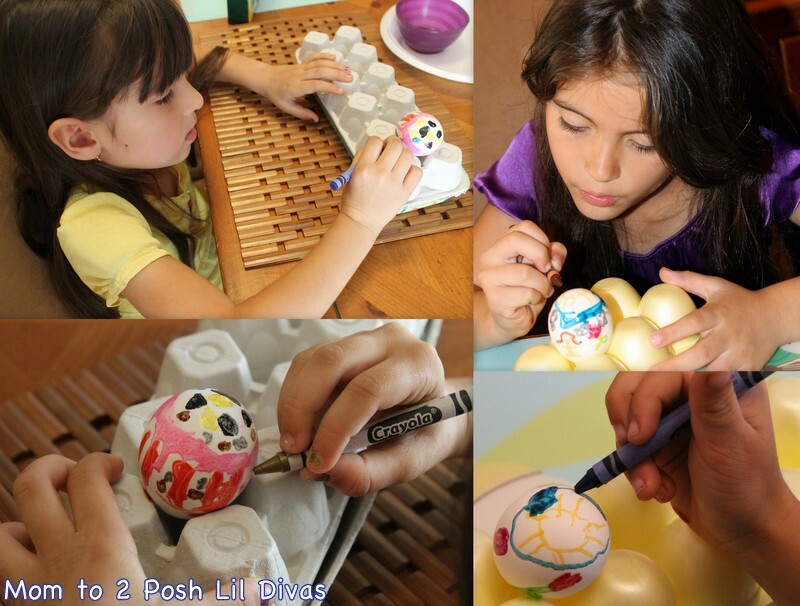 The Lil Divas could shift the carton around to work on the different sections of the egg. I helped when ever the egg had to be lifted/moved. which produces some awesome looking results. I decorated the one in the middle! Ok, this was a bit of a fail and I almost left it out of the post but figured it would be good to show that we don't always have success around here and maybe someone can offer tips to get this to actually work better next time. lots & lots of napkins! this is supposed to help seal in the color. as we did for our Marbleized Hearts - love how this looks on paper! 2. Using the tip of a paintbrush swirl food color to give a fun marbled look. or the colors end up getting too mixed and brownish. 3. 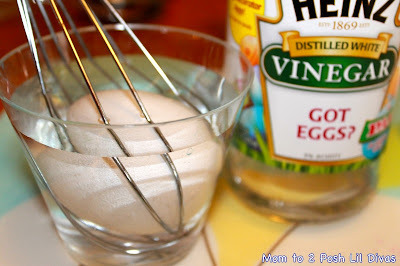 Drop in egg and cover with mixture completely. 4. 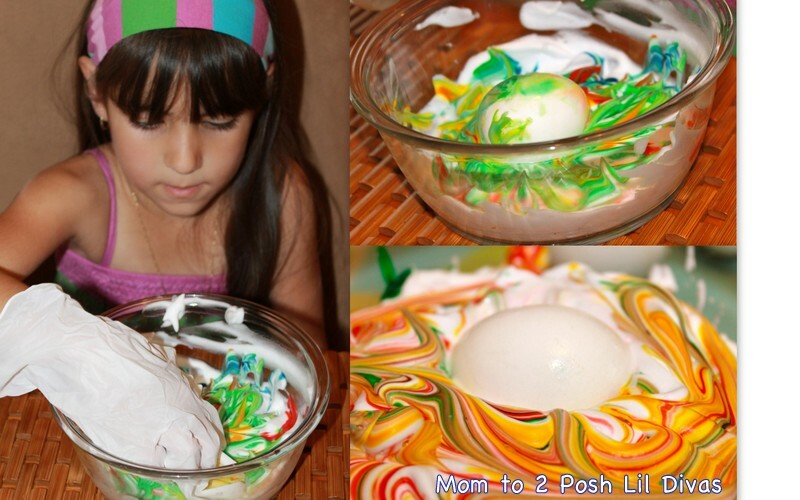 Remove eggs and let sit with shaving cream mixture. After a few hours I used a napkin to wipe off the shaving cream and there was a mere hint of color on the eggs. I have seen this around the web and it was done successfully, so I know it's possible. (See here and here if you are interested). 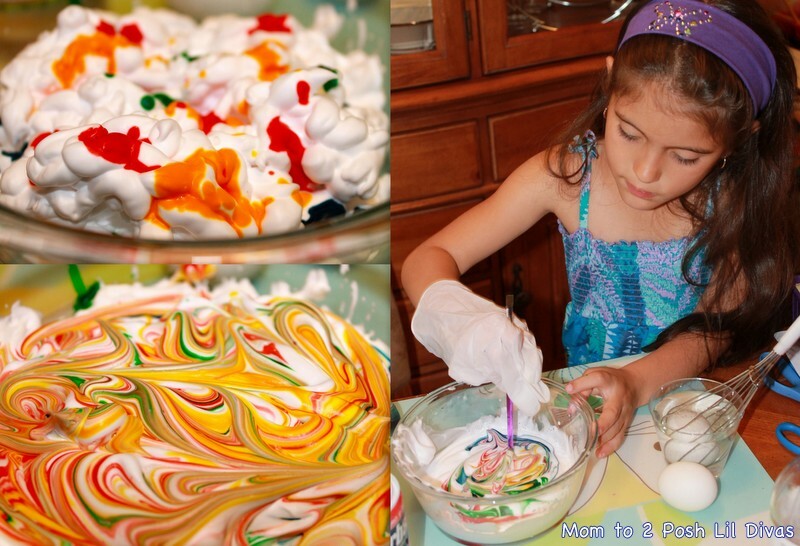 I wonder if it was the brand of food coloring ir if we just didn't use enough? I really wanted this to work but they didn't end up as bright or colorful as I had pictured. This was my favorite! 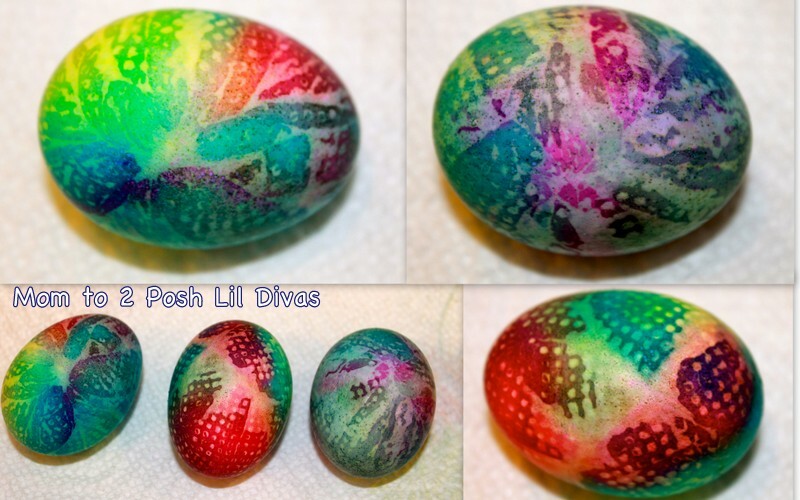 Gorgeous, vibrant eggs! 1. Start by putting 3 napkins on a tray or other work surface. 2. 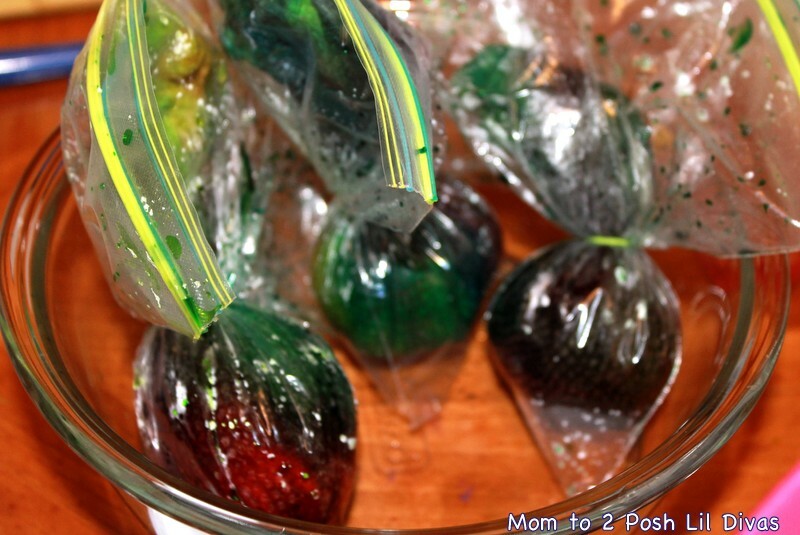 Add dots of food color as desired. 3. Fill your spray bottle with water and add a few tsp of vinegar. 4. Spray the napkin till it's wet and colors have bled together. napkin touches each part of egg and excess is on top. 6. Put wrapped egg in plastic baggie and tie with rubber band. 7. Let sit for a few hours - the longer they marinate the brighter the colors! 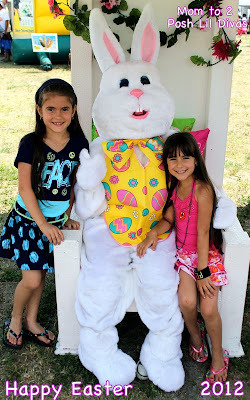 We did these last year too & they are so easy. 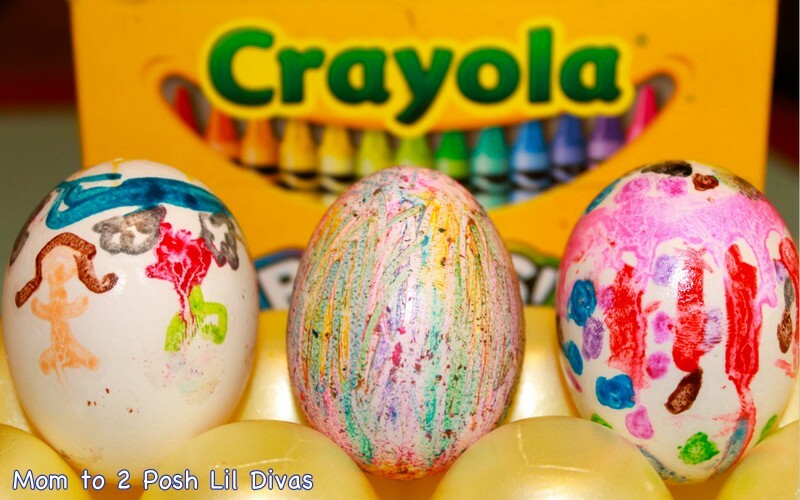 & then dip your egg into 1 color & remove. We had a lot of FUN dyeing & decorating our eggs for Easter. Here is one final shot of all the eggs we decorated this year. I love those tie dyed eggs!!! I can't wait to do them next year! Thanks for sharing! 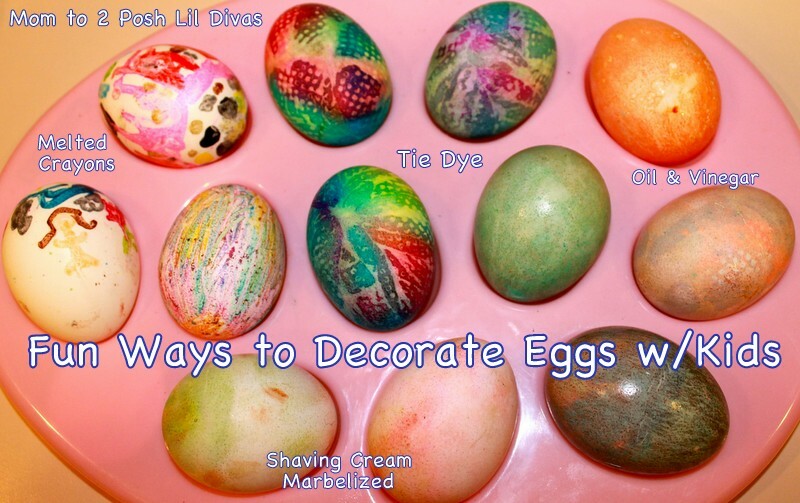 I love the tie dyed eggs also. You have a really cool blog! Will be back often!! 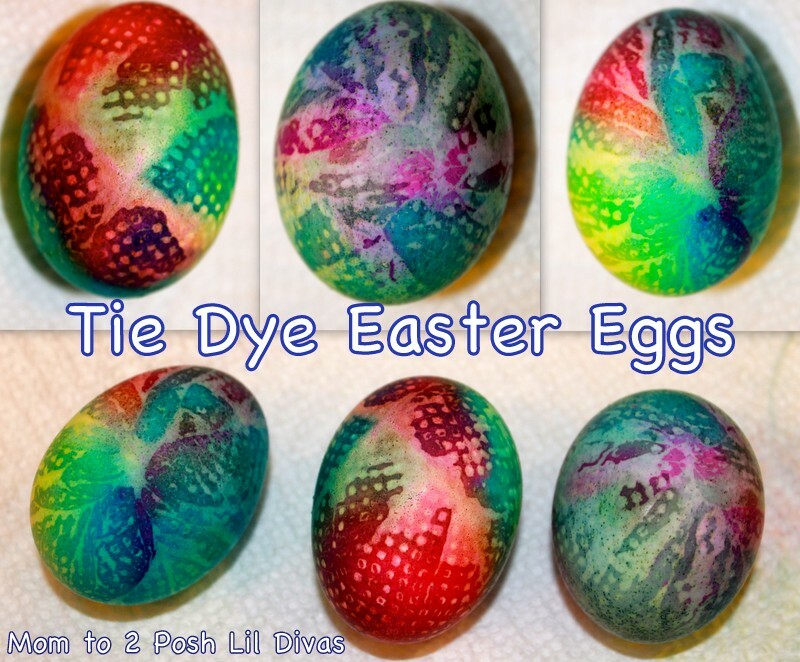 Those tie dyed eggs are amazing! 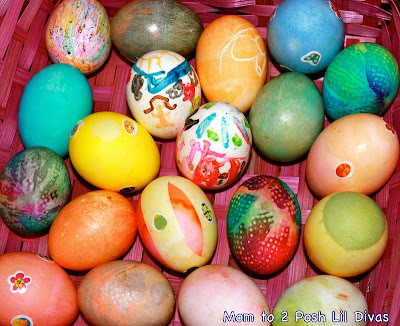 I love the tie dyed eggs. I love all the ways you made eggs! I think the tie dye ones are my favorite too. I didn't know you were in south Florida, it would have been fun to meet you at the zoo. We loved the zoo! It's so nice that the animals are close, but still have large areas to roam. I'm missing my cordadito this morning! I love your different ideas. Tie dye one look gorgeous. Thanks for sharing with Afterschool! I don't need to use a kit next year. I just need use these wonderful ideas! What great ideas!! They came out so beautiful! Thank you for sharing at Sharing Saturday!! Those tie dye eggs look fantastic! this maybe a crazy question, but are the shells on the eggs when you tie dye them? Yes, the shells are on the hardboiled eggs. I will give it a try! Thanks for sharing the tip. 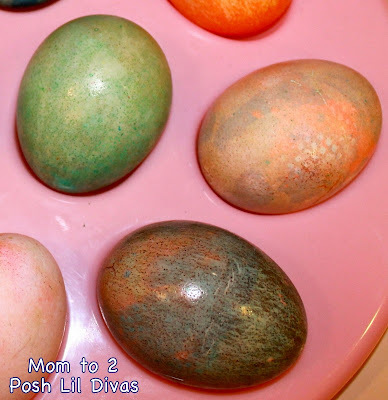 Hey Bern & Lil Divas ~~ THANK YOU for sharing your awesome ideas for egg dyeing :) My G'daughter and I dyed eggs today... tried the shaving creme method ... eh :( Not impressed with the results, and we did use neon colors. 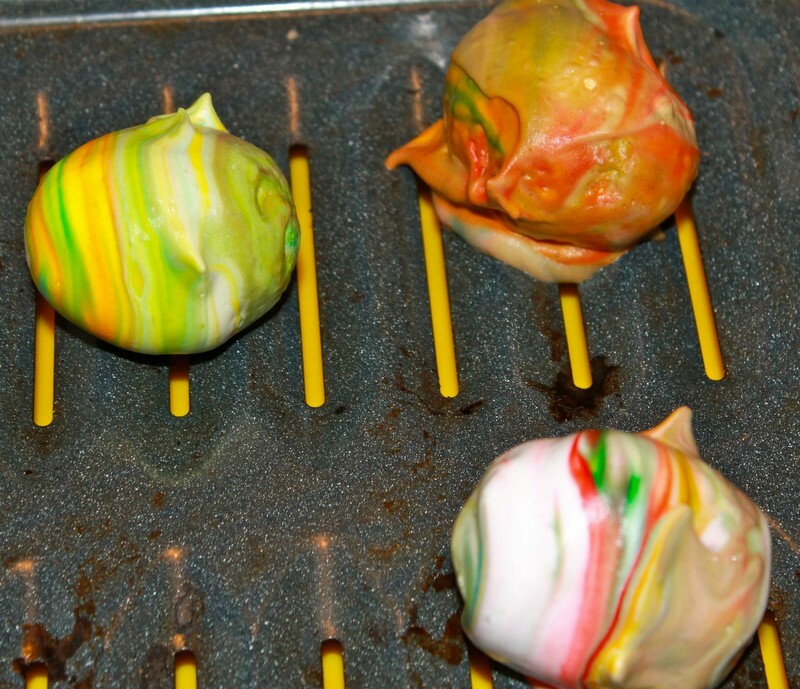 But then we tried the tie dye eggs ... AWESOME! We LOVE how they turned out, and we will not be buying that junk in the stores anymore... You've sold us, and we BOTH chimed in the same time .... "these are the BEST EGGS EVER!" Thanks for the fun! so glad you enjoyed it! They are so colorful and fun when done this way. We did some again this year. It's by far my favorite method to date! Thanks for sharing Katelyn your experience - so glad it worked for you. A few others have told me that the neon coloring works much better. I'll have to give it a try. I didn't buy any this year and when I did go to look for it - it was no where to be found, so we skipped it this year but It will definitely be something I have to revisit. :) You give me hope that I can get better results. These looks great. Loke the patterns from the tie dye eggs. 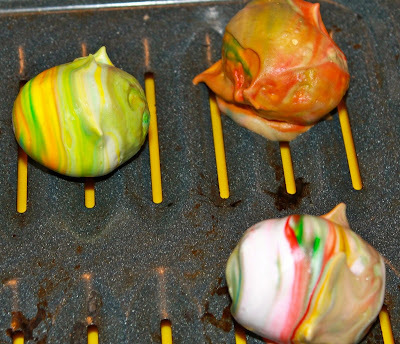 We did the tye dye eggs with the paper towel turned out amazing!! 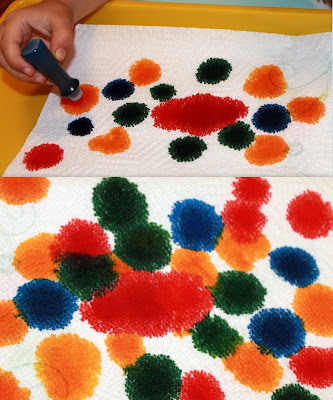 We experimented with napkins paper towels and shop towels and discovered shop towels worked the best and the colors were very vibrant! We were worried when we first did them cuz the shop towel looked almost black when we got it wrapped and in the bag but that didnt affect it at all and colors all over the egg looked amazing! By far coolest idea ive tried. thanks for sharing and recommend doing this with adults or older children and WEAR GLOVES!! And the longer in the fridge in the bag the BETTER! I did get great results from the shaving cream eggs (I was a bit nervous), I skipped the vinegar dip, used regular food coloring, and just enough shaving cream to cover the bottom of our tray - I was happy with them and we made paper eggs to take home as well. 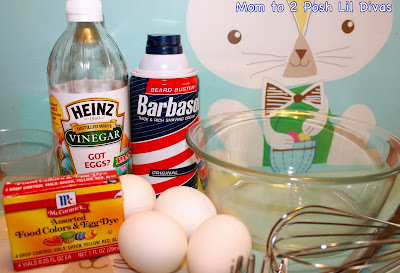 I just tried it today on brown eggs and it worked great.